Let your guests enjoy your beautiful outdoor setting with party tents and tables from Patti’s Party Tent Rental in Fernie, British Columbia. 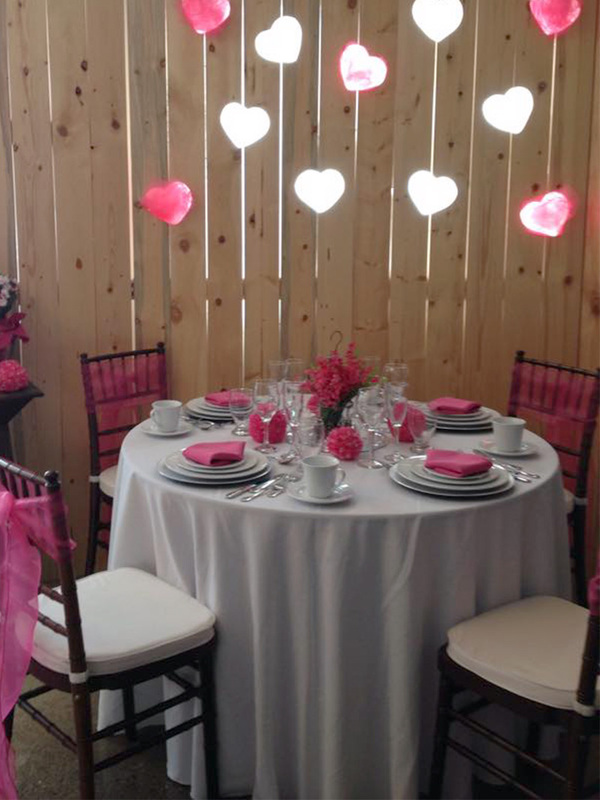 Our beautiful tents and furniture provide that extra piece of class to make your event special. Have everything you need for your event provided by our friendly staff. Prices vary based on the size and number of tents required. For large gatherings, our tents can be combined to create pavilions capable of seating 500 or more people. We travel outside the Elk Valley area upon request. Tablecloths and skirts are available in a variety of colors to match the design of your event. 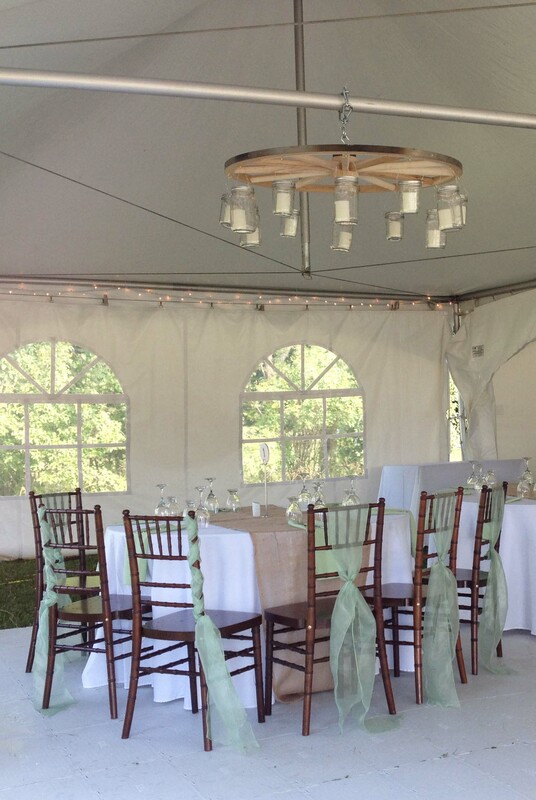 We also offer white folding chairs or dark fruitwood Chavairi chairs and supply chair covers and sashes upon request.